Taking Back Forever Blitz + Excerpt + Contest! Oooh! I fell in love with the cover of Karen Amanda Hooper’s new book Taking Back Forever first. 😉 I love those boots and the purple heart in a cage… Then I read the synopsis and was even more intrigued. 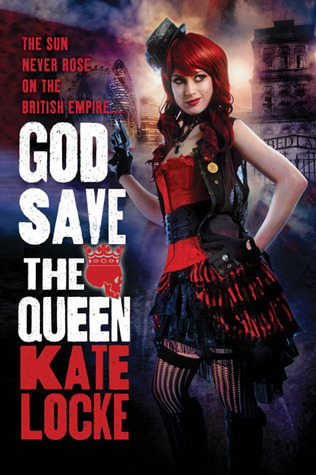 This is the second book in Karen’s young adult Kindrily series and they’re on my list now. Take a look and make sure you enter the contests! Interview with Xe Sands + audio book contest! Xe: Hey Kat! Thanks so much for having me – I think we’re about to have a bit of fun…as for something to drink…hmm. Well, after the crazy hours I’ve been keeping and the whirlwind of APAC and the Audies, makes me wish that I liked wine! But I’ll just take some Throat Coat Tea with lemon and honey, please. A birthday song for author Lanie Jordan + contest! Queen Victoria is celebrating her 175th year of her reign. Victorian England with a twist, the aristocracy has mutated. They are either vampires or werewolves. Besides the aristocracy there are humans and half-bloods. Those charged with guarding the aristocracies are half-bloods. Humans, half-bloods and the aristocracy do not exactly get along. Spotlight on Poppy Dennison’s Soul Magic + Excerpt! I’m a paranormal romance junkie and when I read the synopsis for Soul Magic I was intrigued… werewolves, magic, triad bonds and lots of yummy guys 😉 It is a Poppy Dennison story after all! Check it out *points down* It’s on my stack! This is late, Late, LATE! I had a wonderful Memorial day holiday weekend and well… it didn’t feel like it should be Tuesday already. 😛 And Tuesday’s mostly my favorite day of the week! Oh my goodness, so many wonderful books came out today, Jen Bennett, Jacqueline Frank, Christine Feehan, Jess Dee and more new releases… like mass market issues of Deborah Harkness’ Discovery of Witches and Laurel K. Hamilton’s Kiss The Dead… Yes! *head/desk* I own it in hardback I just haven’t gotten around to reading it yet. 😛 Anyway, so many wonderful new releases, what are you getting? 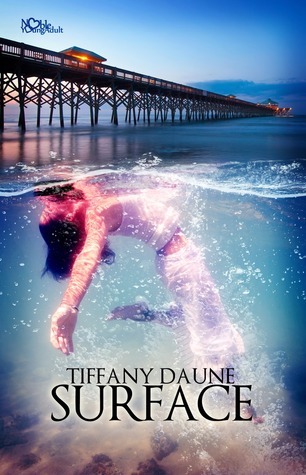 Surface Blitz + Excerpt + Contest! Spotlight on Jess Dee’s More Than Friends + Excerpt! Frantic Fridays ~ Lost My Super Woman Cape! Lost My Super Woman Cape!